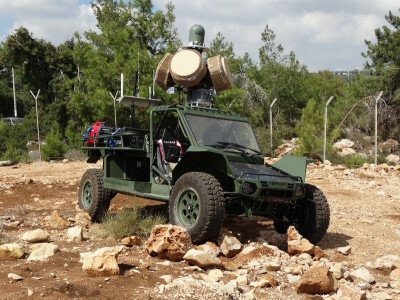 NETANYA, Israel ---RADA Electronic Industries Ltd. said that its Multi-Mission Hemispheric Radars (MHR), which are embedded in the Rafael Advanced Defense Systems Drone Dome counter-drone solution, will be delivered to the British Army in the coming months. These systems will be used to protect from airborne drones some sensitive facilities and sites on which British armed forces are deployed. The British Army is the first customer for this new and advanced Drone Dome system. Several initial systems are being purchased, with additional potential for significant further orders which are expected to materialize in the coming months and quarters. Rafael’s Drone Dome team, together with RADA, won the tender published by the UK Ministry of Defense, ahead of Israel Aerospace Industries’ subsidiary Elta and Italian company Leonardo. (EDITOR’S NOTE: “The UK ordered six Drone Dome from Rafael under an Urgent Capability Requirement (UCR) program, and the first phase of the deal is worth US$20 million and will be delivered this year,” Defense Update reported Aug. 20.